Thank you all for joining me today. I have another book spotlight for you and this time, it’s from author Charity Bradford. Continue reading for a sneak peek. A third vehicle carrying Space Exploration Foundation equipment had been attacked. The sleek bullet-shaped tram lay crumpled beside its track across half a mile of protected lands like an accordion. Its silver exterior marred by scorches and the thick orange foam used to put out the flames. The last car in line had been ripped open, its contents carried away while those guarding it had been left in a bloody heap in the corner. The terrorists had left forty people dead and stolen military grade communications technology. “There’s another reason to stop traveling for the SEF.” Talia rubbed the stone necklace resting at her throat. The disturbing images were replaced by a gray-haired man in his sixties, sitting at a desk overflowing with books and papers. His normally kind face looked ashen. Talia’s knees weakened. She stepped behind the couch and leaned on the back of it for support. Her vision blurred and then she remembered to breathe. It would be permanent all right. Death always was. She squeezed the couch tighter to keep her hands from trembling. There was no way out of it and no way to explain. At least not in a way a man of science could understand or accept, but Cahal had given in to her before. She had to try one more time. “You can send anything you like, as long as you’re on that tram tomorrow. Unless I can convince you to take an aeroflyer?” His eyebrows lifted in hope. “Very well. I’m meeting you myself, so there’s no backing out. I’ll come all the way to Gneledar before I let the Royalists bring you in.” He winked at her and let the ghost of a smile twitch the corners of his lips. With a wave of his hand the Space Exploration Foundation’s emblem replaced his image. Talia collapsed on the couch and stared at the phoenix rising into a star filled sky. After a moment, the screen shut off and she rested her head in her hands. Joharadin, capital of Algodova. There were plenty of reasons to stay as far away from there as possible but no way to explain them to Cahal. Sometimes he exuded a grandfatherly attitude toward her, but he was still a man of science. Talk of prophetic dreams would not go over well, especially as an excuse. A small furry creature shot from under the table and bounced onto her lap. He nuzzled his way under her arms and Talia stroked his back and fluffy tail. With each movement he fanned his tail wider and purred in contentment. Keeta trilled, spun in a circle, and lay down in her lap. With a laugh, Talia set him down on the couch. She knew she could never leave him behind. “Raise blinds.” Talia spoke the command and the house computer obeyed. She rose from the couch and walked to the window. The trees blocked the view of the city, but she knew it was there. Her hometown. Generally, she welcomed traveling to other cities for the SEF. The weeks and months in the company of co-workers offered a semblance of a social life not available to her at home. But not Joharadin. Just the thought of the city from her nightmares caused her skin to crawl and her heart to race. A dull ache formed behind her eyes and she rubbed at her temple. The light from Sendek’s double suns filtered through the trees and into her living room. Flecks of gold danced with the shimmery green across the floor. The movement imitated her nerves. It was already starting. I’ll dream tonight. Talia sent her thoughts out into the trees and waited for their answer. Keeta’s head popped up as if he were listening as well. We will be here when you do. The trees sang back. A wave of comfort washed over her, and she relished it as she turned away from the peaceful view to pack her things. The satellite in the spare room needed to be disassembled and packed into crates. She also needed to pack her clothes, which she did while trying not to think of her nightmares. How many times had she worn the red outfit in them? Perhaps she should leave it and pack something she had never worn in the dream? Would that give her a better chance of escaping fate? In the end, she stuffed shirts and slacks in the bag without looking at them. It wouldn’t really matter. One time she had recycled all of her clothes, purchased new ones, and then dreamed about each outfit over the course of two months. The dreams changed to fit whatever she owned. The last thing she did before crawling into bed was set out her journal and a pen. When the vision came she would be ready to record it. Keeta curled up at her feet, and Talia hoped that this time she could change the ending to her nightmare. Death lurked in the shadows. Talia’s shaking fingers clenched into a fist. Where’s the door to the library? Her breath came in shallow bursts as she ran beneath the circles of light cast by the bulbs dangling from the ceiling. The dim glow reflected off the water filling the hall as she splashed through the underground tunnel. I have to find it before I wake. Talia ran her hands along the stone wall, bits of dirt and moss crumbling from her touch. There was no sign of the door. The cold seeped through her blouse and she shivered. The ache in her chest felt real enough. Her confidence that this was the dream wavered until the two men stumbled into view. Long black robes hung heavy around their legs. The men paused in a circle of light while the fatter of the two gasped for breath. He leaned against the wall, ready to collapse. No, not yet. Talia slapped the stone wall. “I need more time,” she screamed down the corridor, but the men ignored her. Talia’s body reacted immediately. Dream or not, her heart beat quickened as three huge creatures walked out of the shadows. They moved in silence, barely disturbing the water with their smooth motion. Two legs, but definitely not human. The creatures towered over the men by several feet. They had elongated faces traced with ridgelines surrounding yellow-green eyes. The ridges accented a muscular thickness that lined the shoulders and moved up the neck. Their skin had a peculiar opalescent sheen making it hard to decide the color in this weak lighting, but she knew from other dreams that it was a deep green. Talia had dubbed them Scalies during her childhood years. Now as an adult, they still evoked a hopeless dread deep within her soul. Calm down. The silent mantra did nothing for her nerves. Every particle of her being ached to run. “You know there is no escape from the Draguman,” one Scaly spoke to the men in a low smooth voice. Talia stiffened. Draguman? Is that their name? They had never spoken before. The deeply accented voice resonated to her core, but a grating harshness lay under the warm tones. Fighting the urge to run, she inched along the wall toward escape. A Scaly pointed his staff-like pole at the two men and fired. The tunnel glowed red-orange, burning their deaths into her memory—fire and scorched bones. She hung her head as their ashes floated past. How many times had she watched similar scenes? Talia’s head snapped up in time to see the red light rushing toward her. She gasped and flung her arms up to defend herself. She was back in her own bed. Stupid. Flesh doesn’t block plasma weapons. Talia stared at the ceiling and tried to catch her breath. Every muscle in her body tensed and cramped from the running. Her skin burned and she knew it was turning an angry red. If she was lucky, she wouldn’t get blisters this time. Keeta crawled up to the pillow beside her and whimpered. “Sorry to wake you.” It came out a whisper. Keeta wiggled his backside at the sound of her voice and moved in to lick Talia’s shoulder. Her arms and legs twitched as they relaxed. The feverish heat drained into the air, leaving only sticky cold perspiration. Then came the shivering she could never control. She closed her eyes and waited for the shaking to stop, trying to concentrate on the little tongue licking the inside of her elbow. Sometimes Keeta’s saliva eased the ache of cuts and scrapes she received from the dream, but she doubted it would help the blistering. This nightmare had always been a part of her life. Although the locations and method of death changed, each dream took place within one city—Joharadin. Talia had accepted she would never be free from the visions until the Scalies found her or she found them. It might be pointless, but she would keep searching for clues. This one had brought a new piece of information she could record. “Lights.” Talia flinched as the lights flared on. “Dim fifty percent.” The room automatically adjusted to the command. Tonight they spoke. They called themselves the Draguman. What’s more it seems they are aware of me. Perhaps searching for me? Whatever the case, they think I’m a problem. One they won’t have any trouble disposing of. A new shaking started. In twenty-eight years of dreaming Talia had never considered they might be hunting her. She let Keeta crawl under the blanket to curl up next to her. His soft fur and rhythmic breathing continued to calm her while she tried to ignore the way the sheet chaffed her tender skin. Keeta sighed, and Talia knew he was already asleep. She held him close and waited. 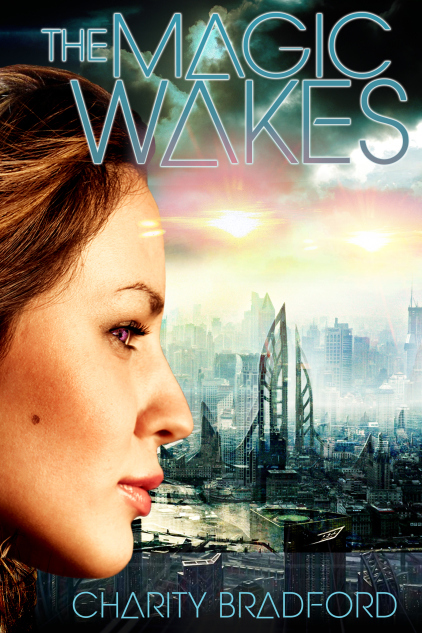 He might calm her spirit, but only the energy from Sendek’s binary suns could heal her body. 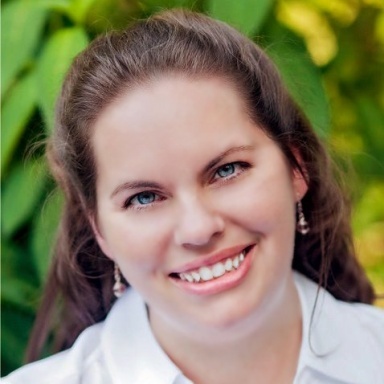 Charity Bradford has been a voracious reader ever since her 5th grade teacher introduced her to the world of books with Where the Red Fern Grows and Summer of the Monkeys. She’s the mother of four kids that keep her on her toes, constantly reminding her that imagination still makes the world go round. Her preferred writing genre consists of a mix of science fiction, fantasy, adventure and romance. She also enjoys reading detective novels, YA in all styles, paranormal, and whatever a friend recommends. Thanks for the spotlight Kristy!